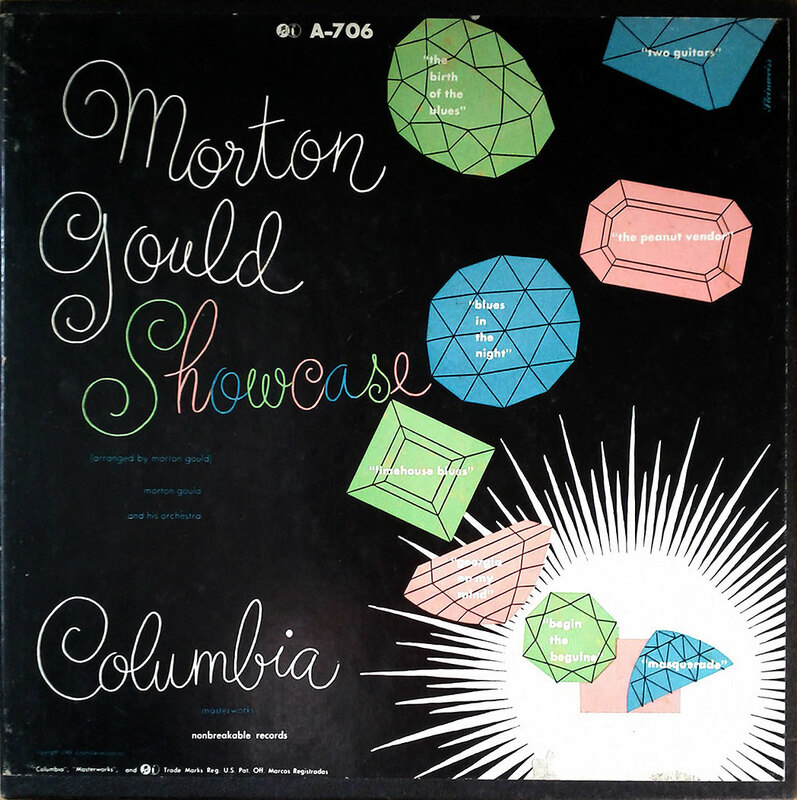 Here’s a beauty that came to me via a friend and fellow 45 collector—an Alex Steinweiss cover for a box of Morton Gould 7-inch records on Columbia. Here’s the wonderful Steinweiss script we’ve come to love contrasted against some microscopic Futura type amid some rather basic geometric line art. Simple and beautiful and a great example of Steinweiss’ thin-line, slightly jittery, script lettering. Enjoy! The home page on Bap-Tizum.com contains two lines of text. The first of which reads: “Bap-Tizum.com is an archive of Black-American Christian spiritual music & sermons from the 1930s to the 1980s.” ‘Nuff said. Nothing about the drab, gray background or the poor quality Polaroid image that embellishes this page would clue you in to the fact that the site is a goldmine of forgotten audio recordings, ripped from the original vinyl records and organized by record speed: 33 (1/3), 45 and 78 RPM. Being a fan of old gospel music I’ve been loyally listening to Kevin Nutt’s Sinner’s Crossroads show on WFMU for years and I discovered this site from its contributions to the Free Music Archive. But what pulled me into this site was its rather humbling collection of album cover and record label designs, which make up the entire user interface for listening to the audio tracks. Clicking on 45, for example, in the top navigation bar reveals an ever-expanding page displaying small-ish images of 45 label scans, each a link to their respective audio recording. I wish there were larger images available for us lovers of visual junk, but that’s just me wanting more of an already good thing. Spread the good word, Bap-Tizum.com is an inspired feast for the eyes and ears. I’ve now received as gifts both the paperback and hardcover versions of 45 RPM: A Visual History of the Seven-Inch Record , an interesting and amusing survey of 45 RPM record sleeves from the 1950s through the 1990s. And while my preference is (obviously) for label art, I can’t help but to pull these books out from time to time and flip through the actual-size reproductions of such visually interesting covers as the Plastic Ono Band’s “Give Peace a Chance” donning a photo of one of Yoko Ono’s installations or a Jackie Gleason “Lonesome Echo” single with a custom Salvador Dali painting on the cover or the Rat Fink-inspired Man… or Astro-Man? seven-inch. Quite possibly the main selling point for me is the index in the back of the book that lists all of the meta data on each record including, whenever possible, designer and illustrator. Turns out I have a couple of Burt Goldblatts in my collection. Join “black crack” addicts worldwide on August 12th as we celebrate Vinyl Record Day commemorating the anniversary of the invention of the phonograph by Thomas Edison. Go crate-digging at yard sales, flea markets and thrift shops, support your local vinyl record store, shop for new and used vinyl online at such great stores as Dusty Groove and Gemm, or finally get a replacement stylus for that used turntable you bought off Craig’s List.